This lot has one of the most breathtaking ocean views you will ever see. 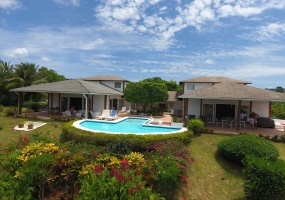 It has a panoramic views of the majestic blue ocean and the ever green Playa Grande Golf Course.It's located 4 minutes from the town of Rio San Juan and 10 minutes from Cabrera . It sits on a high edge giving it a surreal view. Villa Bruno is a place that fits perfectly the Caribbean lifestyle.This villa is built with treated wood from Canada and it's 100% run with solar power. It also a water collection system with a cistern of 45.000 litters.The house has 6 bedrooms with AC (4 rooms) and 5 bathrooms located in a private gated community only a short drive of 5 minutes from Rio San Juan and many tropical beaches. Casa Wady is a well constructed house by a prestigious architect. 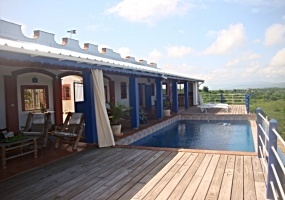 Very solid .The house is brand new and it has not been used much.Located on the hills of La Catalina, only 8 minutes from the center of Cabrera. The Green Villa is a place for those looking for a spectacular ocean view, second to none, and also a super short distance to town. This ocean view house is in excellent conditions and ready to move in.4 spacious bedrooms and 3 bathrooms. huge living room with modern kitchen. Cool balcony and screen on everywindow Everything works!! 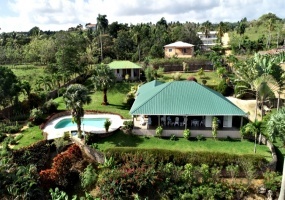 !It has a magnificent ocean view and the best of all is the nice constant breeze going through it .Nice big yard with fruit trees (avocado,mango, bananas, orange and more. 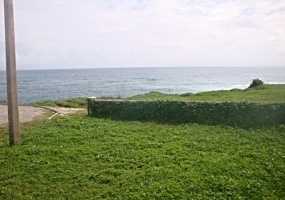 These lots are a unique opportunity to have a property with beach access for as low as US$21.000 and up according the size. There is no other property like this unless you pay millions . 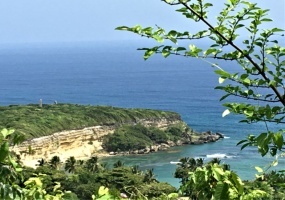 The beach name is Orchid bay and the next door residencial is the most luxurious on the north coast with villas that go from US$ 5.000.000 to US$25.000. 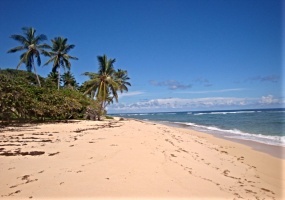 This is the opportunity to own a oceanfront property without having to spend a fortune.The lot is located in a new development in town, only nice houses are being built in this area.Also it is walking distance to everything : groceries, main square, every shop in town and even you can walk to Orchid bay Beach. Impressive and unique lot located on the edge of a high cliff overlooking EL Breton Beach and the National Park "Cabo Frances Viejo" . Only 3 minutes from the main highway, 8 minutes from Cabrera, 4 minutes to Playa El Breton and 10 minutes to Playa Grande. Like the name of this property says ,it's the highest oceanfront property there is in this area and you can imagine the kind of view it has. The photos and video are not even close to real view you will see when you walk this land. To the left you have El Breton Beach and the National Park "Cabo Frances Viejo" . To the right you see and nice bay and the town of Cabrera. This is one of the most unique and beautiful homes in Rio San Juan! !The ocean view is dreamlike, it has a panoramic view of the ocean and the green mountains. The immense outdoor gallery is the place where you will spend the most time and the view makes you never wanting to leave the house, specially if you are in the infinity pool. 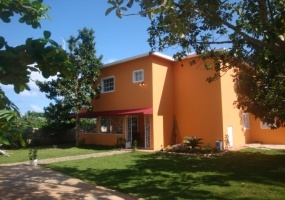 Status: Available Price: US $450,000 Beds: 3 Baths: 2 full Living : 171 m2. 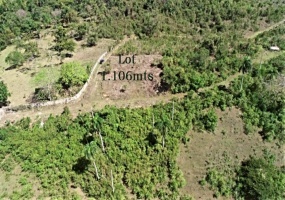 ( 1,841 sq ft ) Lot area: 1,684 m2 ( 0.42 acres ) Villa for sale in Los Farallones, Cabrera, Dominican Republic. This house is One-of-a-kind with beautiful ocean view, open living, and is located just 15 minutes from Playa Grande Golf Course & Beach. 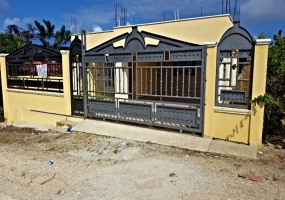 Unique piece of Real Estate in the heart of the growing town of Cabrera.This property has approximately 180 meters of ocean front, it's perfect for any housing development since it's walking distance to all the shops, main square, supermarkets and ocean boardwalk. There are not more properties of this kind left this is the last one.